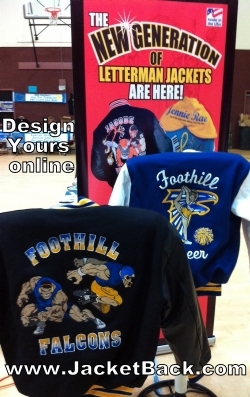 The Foothill Athletic Boosters have partnered with JacketBack Embroidery of Livermore to offer spirit wear, custom-embroidered letter jackets and more. 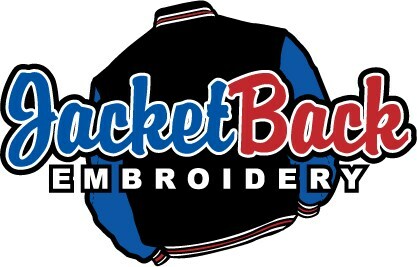 Visit www.jacketback.com for more info and to order personalized letter jackets. Visit www.parkapro.com to order personalized parkas. 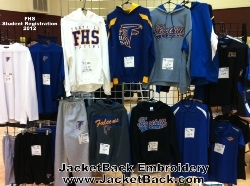 JacketBack Embroidery specializes in full back custom embroidery for letterman jackets. High-tech embroidery machines and digitizing software give our talented graphic designers the tools they need to create exceptional pieces of art. ParkaPro, a division of JacketBack, specializes in personalized parkas that many athletes and parents enjoy wearing to keep them warm and dry at sporting events. The company also makes Foothill-branded sweatshirts, shorts and more.